I once heard someone on the radio lament about the amount of toys his children owned, followed by a declaration that kids should only get three gifts at Christmas. After all, Baby Jesus only got three! Makes sense, right? Matt and I recently heard a story from friends about their son having so many gifts to unwrap one year that he actually got tired and wanted a break from unwrapping! I shared the Baby Jesus idea with them and began wondering if their son would be happier with a few hand-made gifts from his own parents. If they didn’t have to trudge around stores searching for the perfect gifts, they would have 1.) more time to spend together as a family, 2.) more money to put away for other things, and 3.) a happy son who could enjoy his gifts on Christmas morning without drowning in a sea of wrapping paper. #1: Boys love to drive their cars all over things. How about this no-sew felt car mat for a busy boy? It can be rolled up for easy travel wherever he goes! #2: What a great way to up-cycle an old tire. 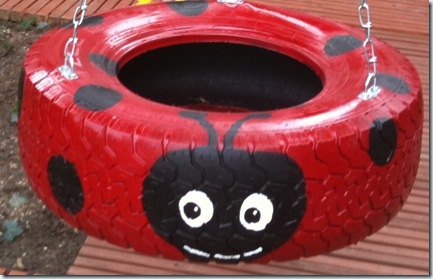 Paint a favorite bug or animal to make a cute tire swing. The only down-side… kids might not want to wait for warmer weather to test it out. 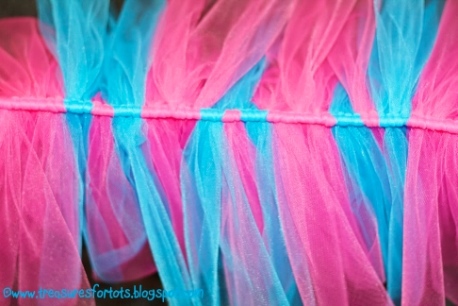 #3: Make a colorful tutu for your princess. Gotta love no-sew gifts! 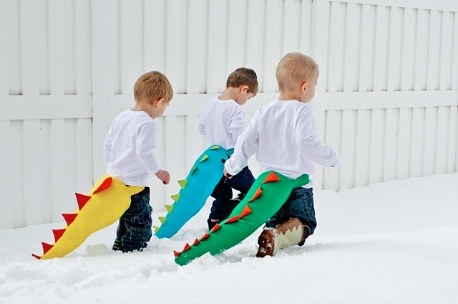 #5: Would your little boy go nuts for a dragon tail??? Again, sewing experience required for this cool gift. OR… find a family member or friend who could stitch this in a hurry! #6: Young kids need their own space to create and pretend. 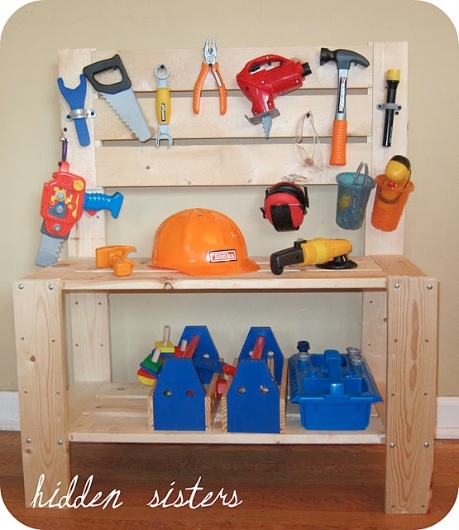 How about a tool bench for a kiddo who loves tools? 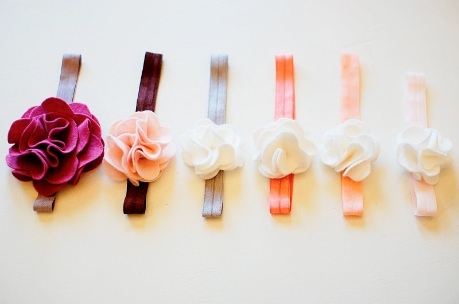 #7: Only a glue gun and scissors are needed to create these cute felt flower headbands for girls! 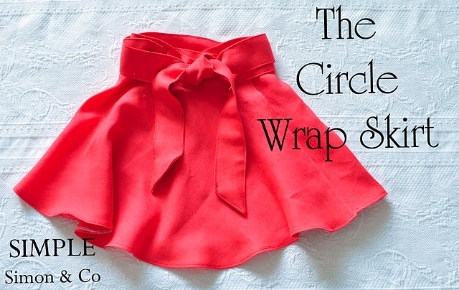 Make them in several colors to coordinate with different outfits. 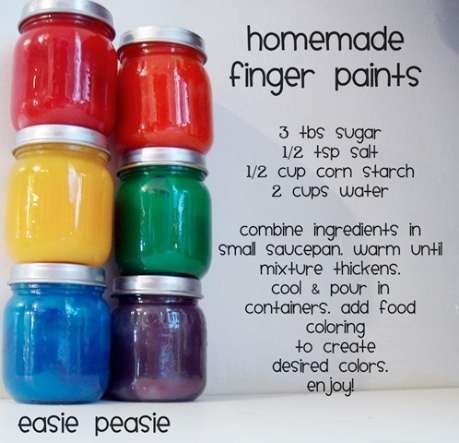 #8: For crafty kids, these finger paints look very easy to whip up! Use natural colorants if you prefer. #9: Do your kids love to hide or cozy up in small spaces? 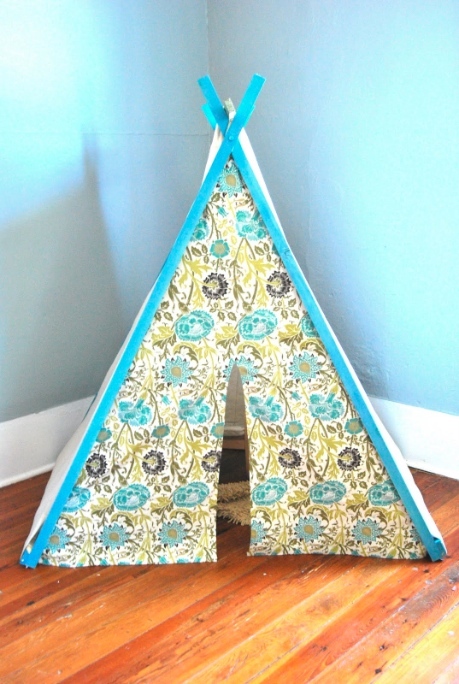 These DIY play tents are so cute and might encourage some quiet time! A little bit of drilling is necessary… know anyone who is dying to get out the ole’ drill? 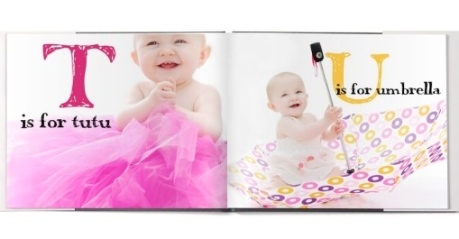 #10: I know personalized photo books are nothing new, but this ABC book is precious. Photograph your child and get creative with the content of the book. Create a bedtime story, an adventurous tale, or a mystery for your little ones to enjoy. This year I plan to make some candy cane play dough for a niece and nephew who are running low, and maybe try out some of the ideas above for the other kids on my list. Instead of feeling dread about the upcoming holiday, I’m actually excited to begin these projects. I just love the idea that my time won’t be spent searching for parking spots, pushing through crowds, and fretting over my shrinking wallet this holiday season! I delight in seeing kids enjoy my homemade gifts… far more love and thought goes into them than any toy I can pluck off a store shelf. I promise you will be proud of your craftiness after making some of your own gifts, and probably wondering why everyone else around you is making such a big deal about the holidays. 🙂 So go collect some supplies, put on your craft pants, and have a ball DIY-ing this Christmas! I have been wanting to have a more meaningful Christmas (like make gifts for each other & or spend less than $5) for years now and I think now that my kids are older, I can get them to “buy in” on this. I think it will be fun & creative. I have also wanted to volunteer in the soup kitchen with my family to feel the true meaning of unconditional love. 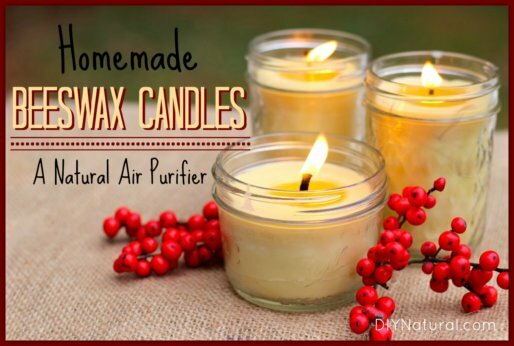 I’m so happy to find this website and can’t wait to get started making my own gifts. I love these ideas! My husband and I share different opinions on this. We both grew up in families where things just didn’t come to us very easily. We have 3 children. Every Christmas must be piles and piles of gifts for my husband to feel it was a good Christmas. What I have found from this is excessive debt that takes years to pay off, toys that are played with for a few days and forgotten about, and toys that can’t be kept together because a piece goes here or the dog chews up a piece there. I have tried and tried to convince my husband that Christmas is not about the material things and have told him the 3 gifts for Baby Jesus logic as well. I dread Christmas because it brings many arguments over child rearing and finances. In the meantime, my husband has suffered the loss of his father and a job loss, which then brought a mental disorder this year. With Christmas right around the corner, I am hoping I can convince him this year we need to try this since my income is just barely swinging the basics as I try to streamline more and more. My 11 year old will understand, ironically she only asked for a few things, my 18 month old won’t know any better…the five year old will be the problem but we created the problem and she doesn’t know any better. I have always held the view that life is not about the material things. Sure, a few things are nice, but it’s about creativity, imagination, fresh air outdoors and togetherness. Please keep my family in your thoughts and prayers as I try for the 11th year to change our family structure. Thank you so much for these ideas. These will be very useful for me! I have only kept a few Christmas gifts from my childhood, and guess what they are? Handmade items my mother toiled over so she could save money for our family and still provide us with gifts. We obviously didn’t need the gifts, but she created some wonderful things that are timeless, special to me, and have sweet memories attached. I took some photos of toys in a Nova Naturals catalog to my husband and he made them himself. It doesn’t take much sense to be able to make wood toys from scratch. He made a lawnmower push toy similar to the one on this page, for about ten bucks in wood. http://www.novanatural.com/baby-toddler/moving/lawnmower-push-toy. It is very easy if you just think outside of the box, you are right! Also, we decided this year to do the presents at Thanksgiving. Why? Well, Christmas is Jesus’ birthday, and He is the ultimate present, and it should be about Him, not us getting gifts. But, Thanksgiving is an excellent time to share with people how much you are thankful that they are in your lives and give them a gift to share that appreciation with them. We did give out tins of homemade goodies to people around Christmas, but other than that, we phased it all the way down to just stockings full for our family. We did put presents in Jesus’ stocking, which included some scriptures and candy. I also made him a birthday dark chocolate mouse pie from scratch. Hi, I just tried making the homemade finger paint and I’m wondering if there’s a point of cooking it too much? The reason I ask is that after the finger paints cooled to room temperature, they solidified, thus are super hard to spread. Do you have any advice? Thanks. Cathy…I would recommend clicking on the link for the finger paints and posting this question on the Easie Peasie website. I have not made this paint yet, just thought it would be a cute gift for kids this year. 🙂 Good luck! My son isn’t quite big enough for the car mat or I would make that… Maybe for his b’day. My guys gifts are almost all bought, hubby & son, but almost all of the extended family gifts are DIY! My Lil Bro is getting a knitted afghan (we draw names for adults), my mom is getting a handprint ornament and my nieces and nephews are getting hats! Faux-hawk hats for the boys (who are school age) and animal hats for the girls (Preschool & toddler)! 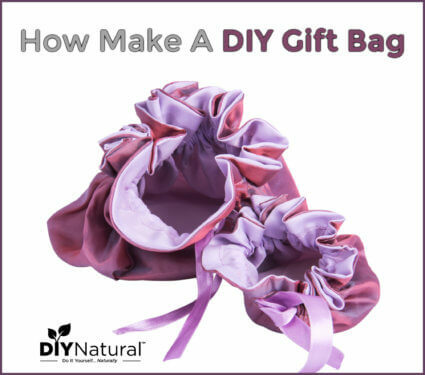 LOVE the 4-gift idea…very practical! Great list! I am definitely going to make the car mat for my toddler! We grabbed some felt the other day to make a felt christmas tree in the playroom with more felt ornaments (so they could decorate it over and over as they pleased) so I am already stocked! Thanks again! Awesome ideas. Now that we are parents I will reference this list. I particularly like the felt mat for lil’ SPF’s toy cars and such. Betsy – Great ideas!!! I have two girls, 11 &13, any ideas of homemade gifts for the pre-teen/teen set? 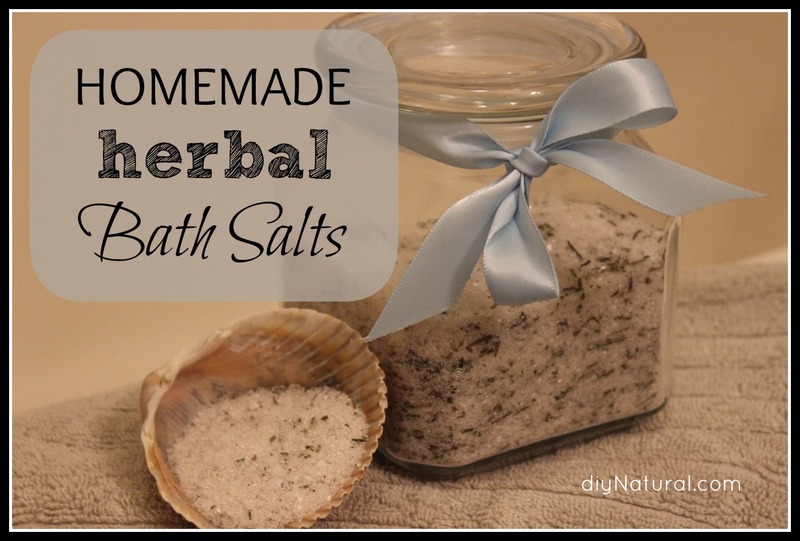 Love the DIY posts!